50th Anniversary Gala Ball enjoyed by all! 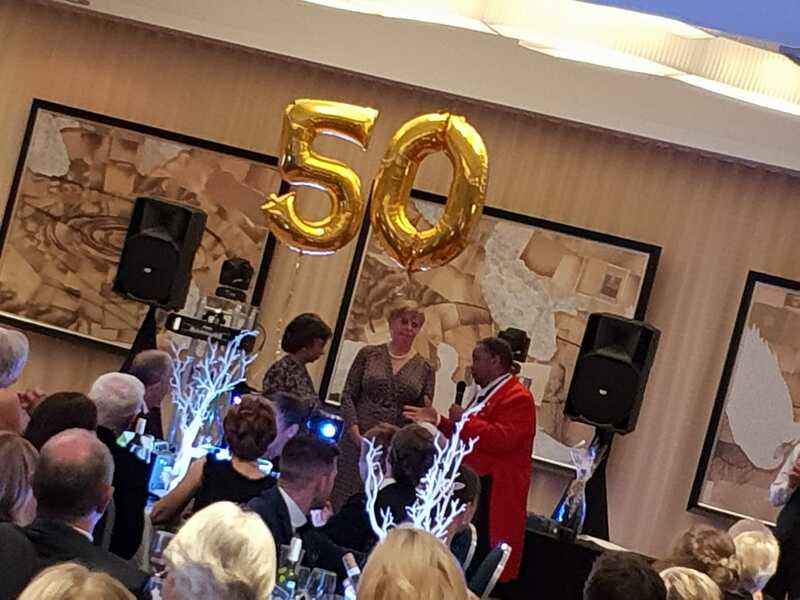 Our Gala Ball continued our 50th Anniversary celebrations with a dazzling array of friends coming together at the Crowne Plaza, Stratford. How different our volunteers and riders looked all spruced up in suits and gowns. Angus, the magician, shocked us with his ‘light’ fingers, Master of Ceremonies, Reuben, kept us on our toes with games and Max Stainton gave a lovely address before the raffle and auction. It was so lovely to see so many enjoying the evening and dancing until the early hours. Thank you all for coming and for your generous support. Previous post: Happy holidays at Clwyd Special Riding Centre again! Next post: Stratford upon Avon RDA welcomes HRH The Princess Royal to celebrate its 50th Anniversary! !